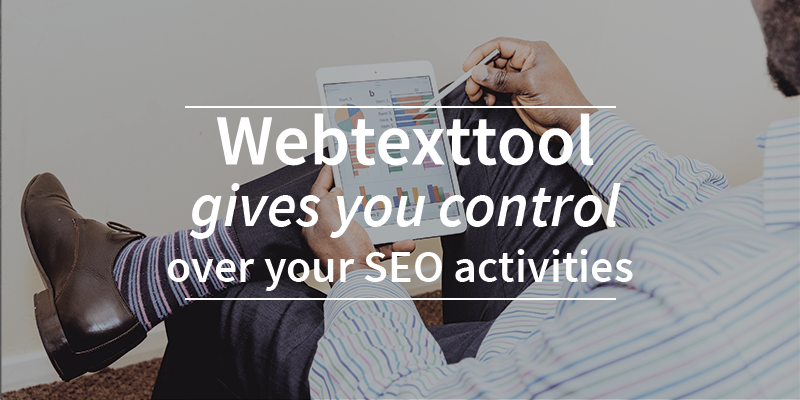 Webtexttool has expanded the Page Tracker features in the latest webtexttool release. In this new version, users will be able to see an overview of all activated Page Trackers, including historical data. It is also possible to activate an weekly e-mail update which shows you on which pages you should take action because the rankings decreased. 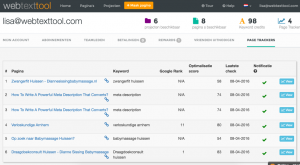 The weight of factors like location of the keyword and other SEO factors changed the algorithm. 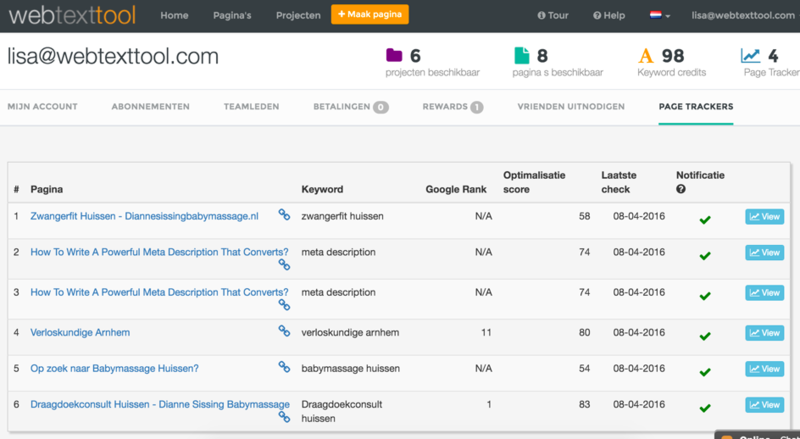 A visual alteration is the optimization score which is now visible in the dashboard and on the pages overview. By making the status visible, users can see which pages aren’t fully optimized yet. 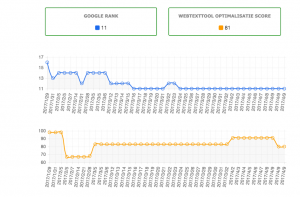 This way you’ll also be able to see if the change of SEO rules has affected the optimization score of your pages. 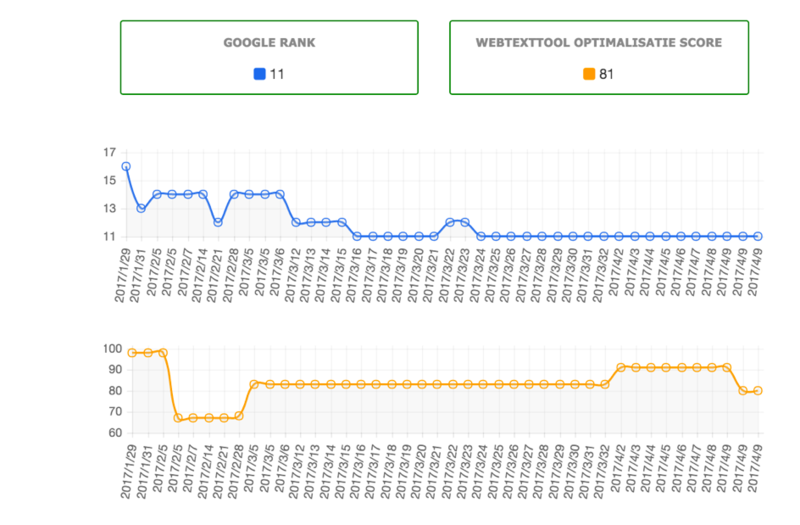 With the improvements in the Page Tracker and the appearance of the optimization score in the dashboard, webtexttool provides users more control over their SEO activities in webtexttool. They gain more insights on the current status, the progress and what the results of their SEO activities are. Would you like to try webtexttool? Create a free trial account below!